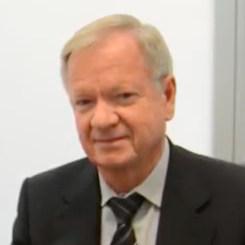 Bolliger founded Bolliger & Mabillard (B&M) with Claude Mabillard in 1988. The Swiss company is one of the most revered names in the business for rollercoasters, its steel constructions so sought after that it never advertises in any trade publications. In 2016, B&M completed its 100th coaster project. Over the years it has pioneered several ride technologies and won many fans with products such as its Inverted Coaster, Floorless Coaster, Flying Coaster, Dive Coaster and Wing Coaster.Whilst Mabillard has now left the business, Bolliger remains as president. And the company’s reputation for rollercoaster design is still second to none.